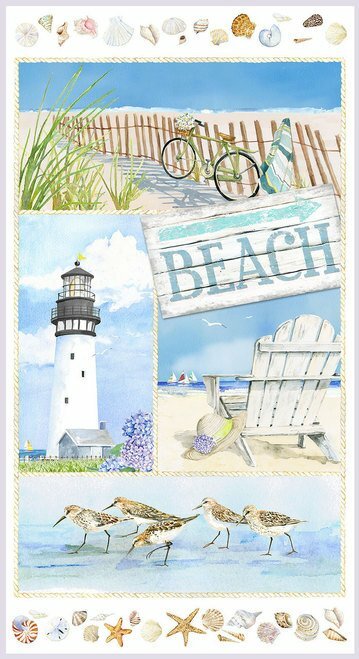 Lighthouse Panel from the Coastal Paradise fabric collection by Barb Tourtillotte for Henry Glass Fabrics. 100% cotton. Panel approximately 24" x 42-44" wide.